Note: A minimum quantity of 528 must be ordered, and in units of 24 thereafter. 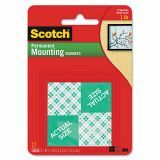 Scotch Precut Foam Mounting 1 Squares, Double-Sided, Permanent 16/Pack - Double-coated foam squares are ideal for mounting artwork and decorations to a variety of surfaces. General-purpose, heavy-duty foam tape is designed for mounting light to medium-weight objects to both walls and other surfaces. 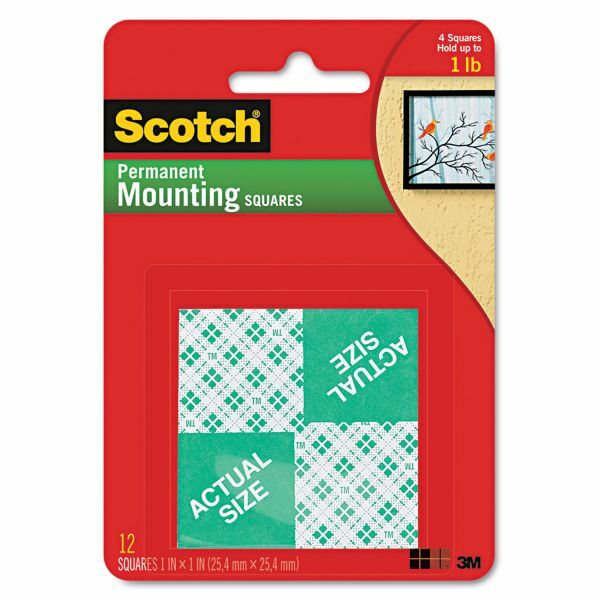 Each mounting square conforms to many textured walls and has adhesive on both sides. Adhesive is permanent. Each square can hold up to 2 lb.